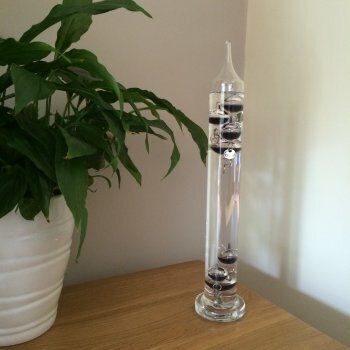 Invented by Galileo, this stylish thermometer has several balls of exact weight placed in liquid. The balls then rise and fall according to the temperature. This Galileo thermometer is for indoor use only and comes gift boxed making it an unusual and useful present.